Call it the calm before the storm. (And the calm after the Superstorm.) 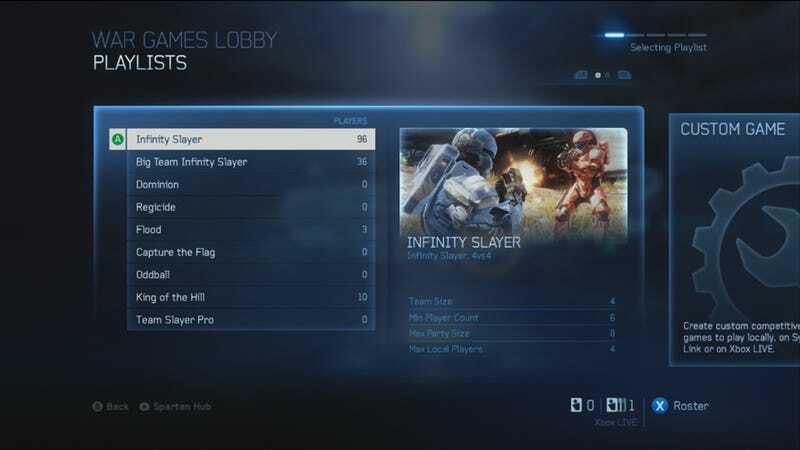 Only 145 people are playing competitive games of Halo 4 online right now-a fraction of the number that will be playing next week. Microsoft's sci-fi shooter leaked on the Internet a while ago. A great deal of people have pirated and started playing the latest Halo game, which Tina enjoyed quite a bit. But only 145 of those people-likely press, developers, and anyone else who may have obtained a legitimate copy of the game-are playing Halo 4's online war games mode right now. It's an interesting sight, the type of thing you only see before a game is released to the public. Microsoft has been very vigilant about banning Xbox accounts that shouldn't have access to the game. This is an unusually low number even for games that aren't out yet: last week, for example, some 600 people were on the Assassin's Creed III leaderboards. ACIII came out this past Tuesday. Nobody is playing Spartan Ops, by the way. There's no way to tell how many people are playing co-op, but I imagine it's not that many.